Once in a year we gather our tight resources, wrap the toothbrushes in the travel towels and give goodbye kisses to our families. 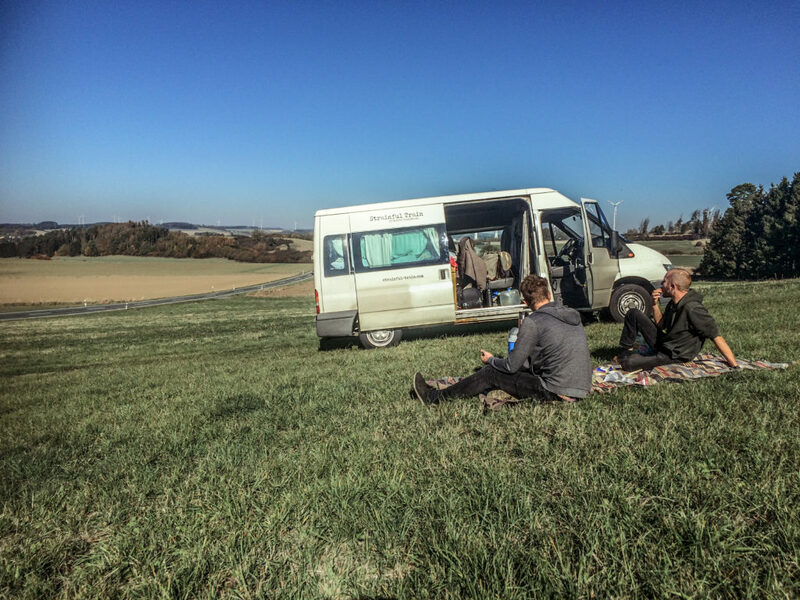 It is time to jump once more into the gypsie lifestyle of Strainful Train on tour. Hide your beer and hide your wifes, the folk trio is out for conquest again. Provided that our livers play along and the rusty ride doesn’t break down. Which is quite probable, considering the Bosnian road conditions and Bennis urge for miraculously surviving overtaking Russian tractors on steep slopes. As you see, our annual escape route from everyday routine led us to the Balkan. Benny still had some neat contacts there from his journeyman years. Or as we call it, the time where the prophet walked amongst us. He is still being considered a guru by the locals. But I´ll get to that. On our conquest to the south east we stopped over in Vienna. For sleeping reasons. Also there was another squatted place to play at. 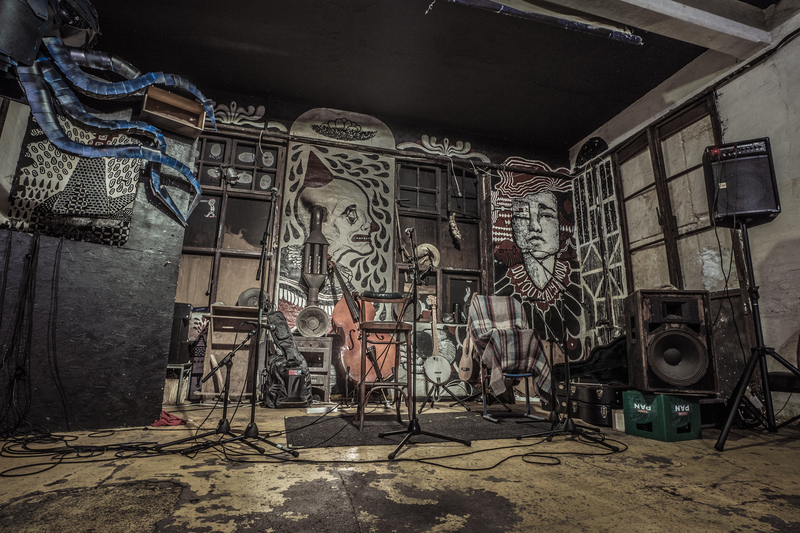 The EKH has a bar in the basement that hosts punk festivals and looks like a fetish club. Our concert was adjoined with the showing of a disturbing info flick about the first queer squatting project in Berlin. We made the best of it and even mastered some small talk in Austrian German afterwards. After a refreshing stay over at the official band quarters, there was no time to loose, Zagreb was calling. The main reason, we headed to the Balkan, was a little greasy pastry, that tastes only when made by the wrinkled hands of a Bosnian grandmother. It is called “Burek” and the overconsumption leads to instant obesity. Meanwhile everyone in the band is the proud owner of a “Burek-Bauch”. We satisfied our Burek-needs and were properly prepared for a concert in the next squatted place. The “medica” and namely Marin, a sympatic extrovert with a kazoo, hosted an event to honor our guru and called it “the fight of the journeyman”. It featured four bands and Benni was the headliner. This really was his show, since the sound system showed some technical difficulties (for readers interested in audio gear: the mixer had an earthing fault and produced intense reverb from hell as soon as you touched it), and Bennis microphones were the only ones working. He showed all the entertainer skills slumbering within him. Successfully, he even provoked a jesse-james-moshpit. There were several parties at the venue afterwards, so the night for Benni-and-band ended somewhere between dark psy tech and Balkan-Oldies. 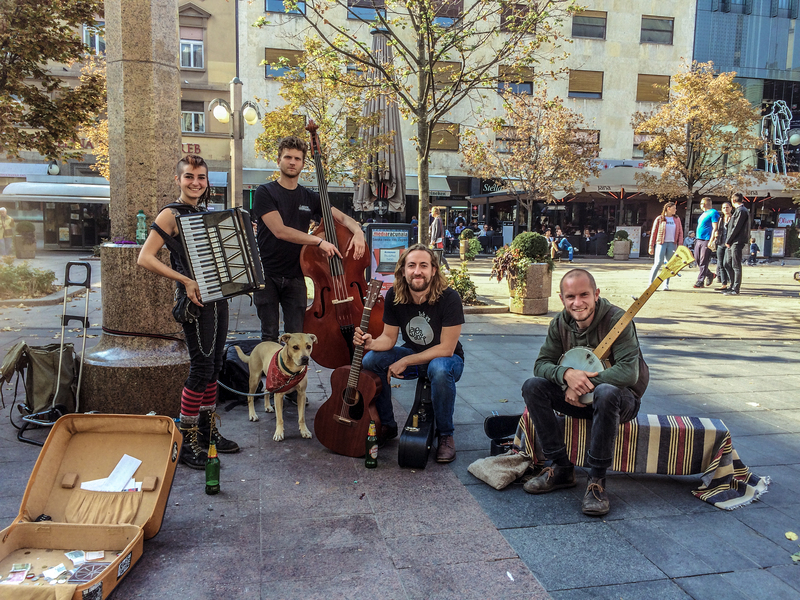 To get grounded again, we did some serious busking on the streets of Zagreb the following day. A cute Canadian accordion player joined us and doubled the income with some upbeat gypsie vibes. Which was directly converted into burek. We needed a rest and found it in the warm lap of Matea and Jure. 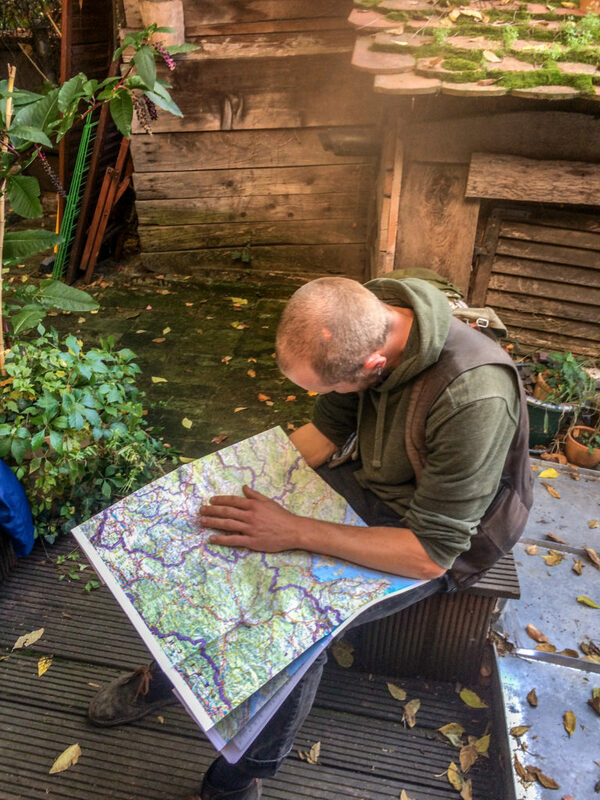 In their little sanctuary garden in the middle of the city, Benni was able to rebalance his spiritual energies by grilling some chestnuts. The Bosnian hinterlands were awaiting us and we needed to be clear and ready for the thrilling adventures ahead.